Visionary. Icon. Genius. Legend. These are the type of words that get thrown around too often - but truly only apply to a select few - and Mr. Jobs was one of them. Granted I work for a technology/green company, but someone's death hasn't reached so many people in any office I've been in since Michael Jackson's passing. I'm not going to run through his list of accomplishments - there are plenty of other places to go for that - but seriously - his story reads like a true American folk tale. 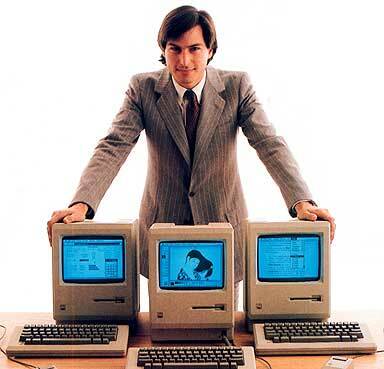 What started with being adopted at birth and was followed by dropping out of college, led to the invasion of home computers with the Apple II, to one of the most successful runs at being a CEO/Spokesperson/Salesperson/Face of a Company in history, a reign that included the introduction of the revolutionary 'i' products - iPod, iMac, iPhone, iPad, and so much more. From a fashion perspective - he wasn't really setting trends - but hey, the black mock turtleneck, faded "mom jeans" from Levi's, and grey new balances pretty much set the tone of consistency, don't they? 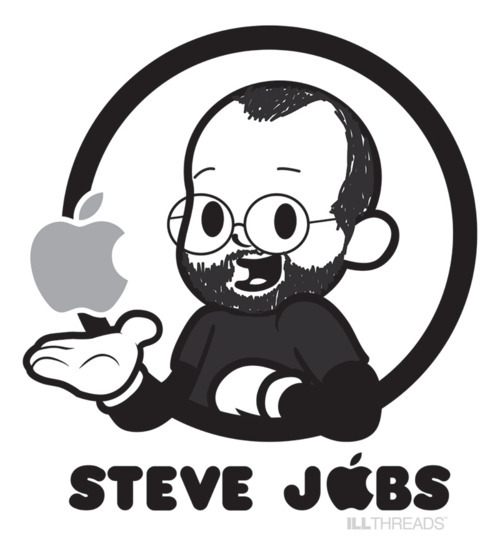 Check out after the jump for a pic of what I'd love to see Apple adopt as their new logo, as well as a history of Steve Jobs 'fashion choices'.